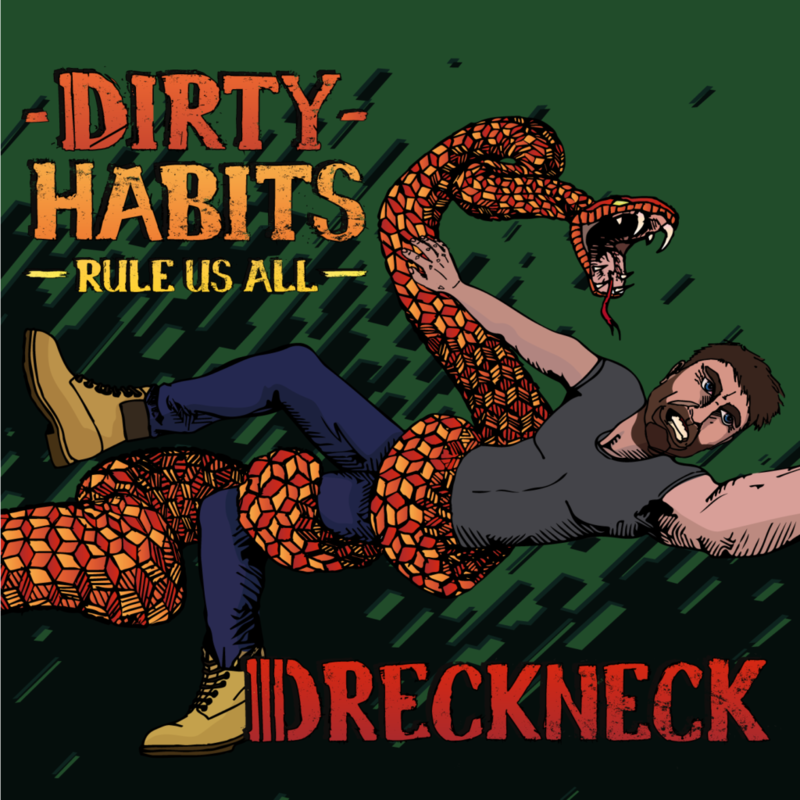 Dreckneck came over to the White Noise Studio to record the follow up to their 2017 debut Ep ''Dreckneck''. 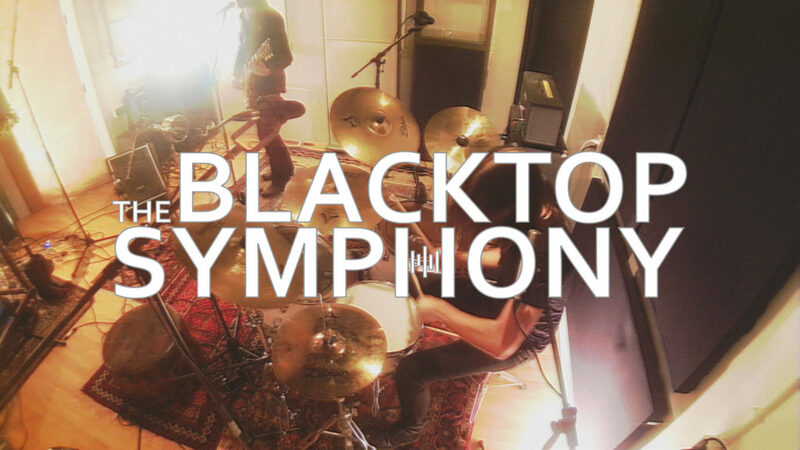 We decided to record the basic tracks live and do additional guitar and vocal overdubs. It meant that the drums, bass and guitar were recorded at the same time. The band plays in a way which is similar to a gig or rehearsal. This has the added benefit of a tighter feel for the band and a great performance. Ofcourse, bleed in some of the microphones was to be expected. We didn't use headphones during basic tracking. All amps were on the setting which made them sound best.and played best for the band. Harm's fuzzpesals and guitaramp were tweaked to have a ''everything is going to hell'' sound. The bass amp was adjusted to have more mids and less low end. it's easy to overdo the low end in recording, which you have to eq out in the mix. Better make sure the source sounds good! The bleed ( in short: the sound of instruments other than the sound of the instrument the mic is intended for getting in the mic) is actually a good thing. It helps glue the entire mix together, given the bleed is not way too much. We did encounter of 1 issue of bleed which wasn't wanted. For the basscabinet, we used a blend of a Neuman TLM103 and the DI out of the great sounding Ampeg head. The cymbals of the drums reflected against the speaker the microphone was positioned for and ened up on the bassguitar microphone track. So although the ''blindspot'' of the mix was aimed towards the drums to have the drumsound blocked as much as possible in the microphone, the reflection against the speaker was an issue. We resolved that by re-amping the bass. We recorded only the DI track, and reamped the bass after the band did their initial recordings. Worked like a charm. The vocal overdub was done mainly with the BPM CR76 tube mic. On a few occasions, like on the song Highway Man, we added a vibe vocal by distorting the vocal while recording. The recording chain was a simple sm58 through the Crate GX -15R amp recorded with an Sennheiser md409. All guitars were overdubbed with a different guitar to ensure both guitar sounds were different enough form each other to create a big sound. We recorded all guitar parts to decide in the mixing process which doubled parts were used and where they weren't. The band normally plays with 1 guitar live, so all doubled guitars were really recorded to add some extra beef for the recording only. Most of the mixing for this album revolved create vibe, dynamics and atmosphere. The band plays stoner influenced music, so a swampy, desert type of feel is what where after. Not smooth and polished. One thing we did to accomplish that was not to tidy up the mix. We left in a lot of noises to have a raw feel. We set out to mix Martijn's drums to sound big and relentless. One thing to get to this sound was to make sure the attacks of the snare, toms and bassdrum were streamlined to have a unifrom character. We did this by creating a sub buss for the drumattacks only. All drums were routed to this bus and then gated to only have the attacks. This was then distorted and compressed and mixed in slightly with the rest of the drums. This gave a very solid, relentless vibe to the drums in the mix for this album. Another thing to add some massive presence to the drums were the recorded roommics. We compressed and distorted these in varying degrees and mixed in more or less according to the song and dynamics in the song. At the start of the track ''Highway Man" you can hear these distorted roommics very well. The intro of the song is almost only roommics with a little bit of close floortom mic. Gijs' bass was reamped because we had some reflection issues in the bass' microphone. Before reamping we added some more midrange and a bit of compressions because, although we already reduced low end and midrange on the amp during initial recording, we felt it needed a bit more presence. One of the major advantages of reamping is you can do this inside the DAW before recording the reamped bassamp again. Of course, the fuzz on the bass helps a lot with the presence of the bass. The bass is not mixed fully dry upfront. it has a litle bit of chorus going on to add width in the mix. All guitars were recorded double. We left it to the mixprocess to decide when the guitar was used doubled or just single. The main reason fot his was dynamics and flow of the song. So we have songs which start with one guitar panned on one sided, while the otehr enters a few bars later and tracks which start with full blaze from the beginning. The guitar al ready sounded really raw and somewhat destroyed from the recording, which what fully intentioned. A bit of added midrange brought out some more dirtiness and we reduced a bit of low end to bring out the low end of the bass. Harm's vocals were treated with all sorts of distortions and delays. Pretty much all vocals have a bit of slapback delay happening because it blends so well with the music and keeps to voice upfront. All vocals were doubled. The doubling was differend per song from being one vocal doubled with the same pitch, a clean vocal doubled with a raw one or a lead vocal with an octave underneath it. It's really different per song. It adds to the flavor and the diversity of the songs.. Same with the delay, we used longer delays when the pace of the vocal was a bit slower and no delay or shorter delays with faster paced vocal tracks. Distortion was the same. Harm already has a great grit on his voice so distortion wasn't really need on a lot of parts. We had great fun paying around with these effects. A great example of a massive delay and reverb addition on the vocal is at 02:38 in the track ''Dead and gone'' were the vocal goes into a sort of endless feedback delay loop to crossover in the instrumental part after it. We did everything on this album. The recording, mixing and mastering. For mastering the entire mix was mixed down to a stereo mix before mastering. That master mix was then mastered in it's own mastering session. A proper mastering sessions like we do for all mixing sessions we also master. In this mastering, some slight overall frequency balance changes were done by adding some highs and compressing the lows a bit. We had the studio's Transformifier unit running in parallel, which adds some very nice high smooth harmonics. We ran the entire mix through our BAse masterbuss compressor which is a real SSL masterbuss compressor under the hood for subtle masterbuss compression and some great coloration. 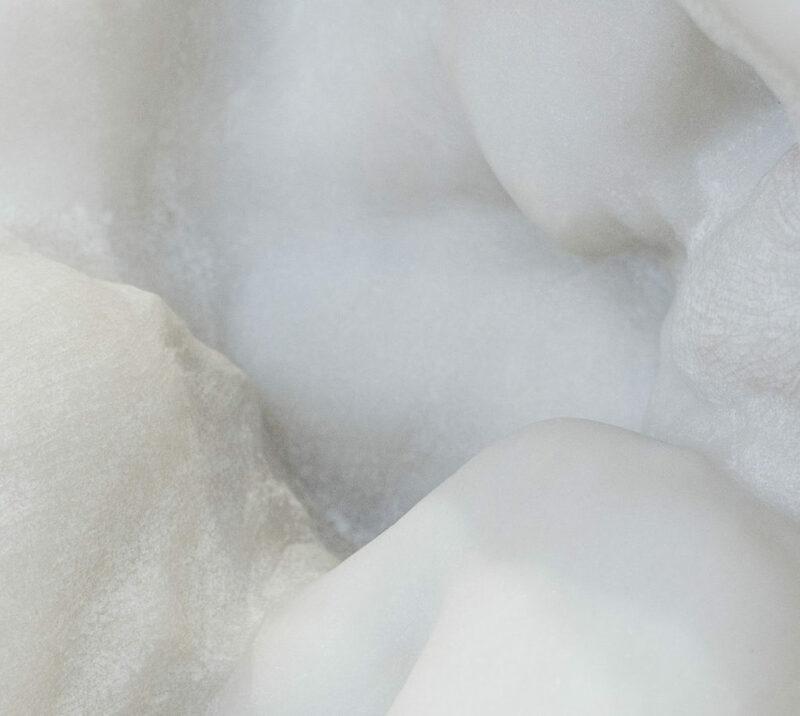 We also did some mastervolume adjustment for dynamic contrast. So chorusses tedn to be a dB louder than the verses for instance. 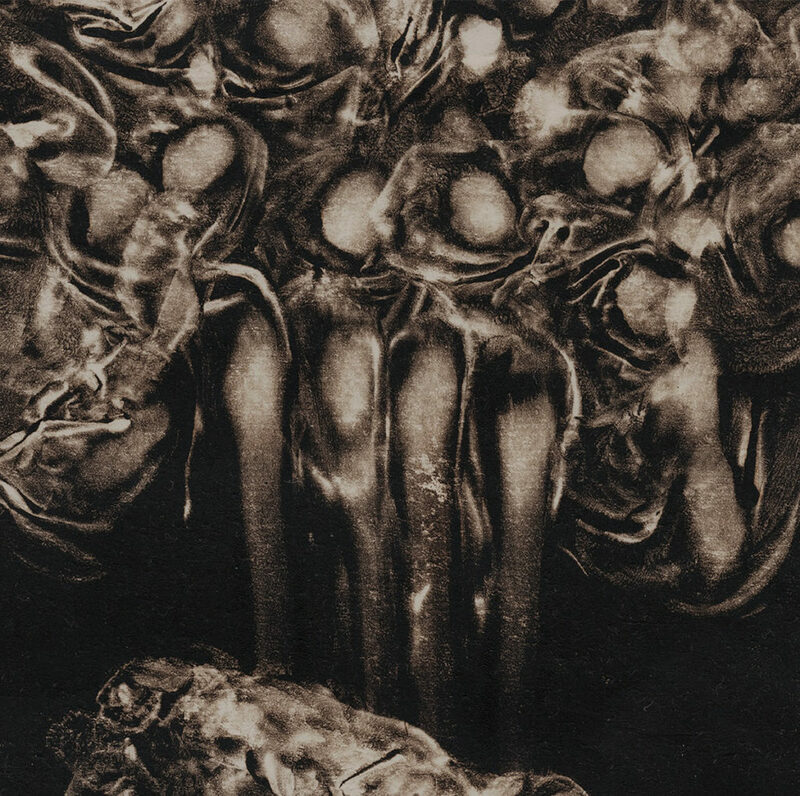 One of the reviews of the album, in Classic Rock Magazine, states: "The excellenty monikered Dreckneck seem the most likely to have a dead body in the trunk of their car. 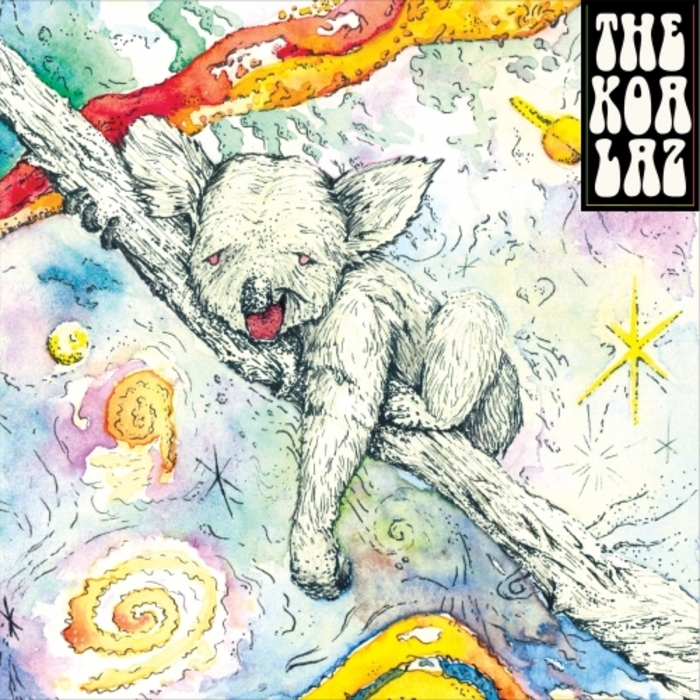 Big throbbing riff-rock, mud crusted fuzz"
The Koalaz, psychedelic reggae / rock. Splinters is a trio from Paris, France. 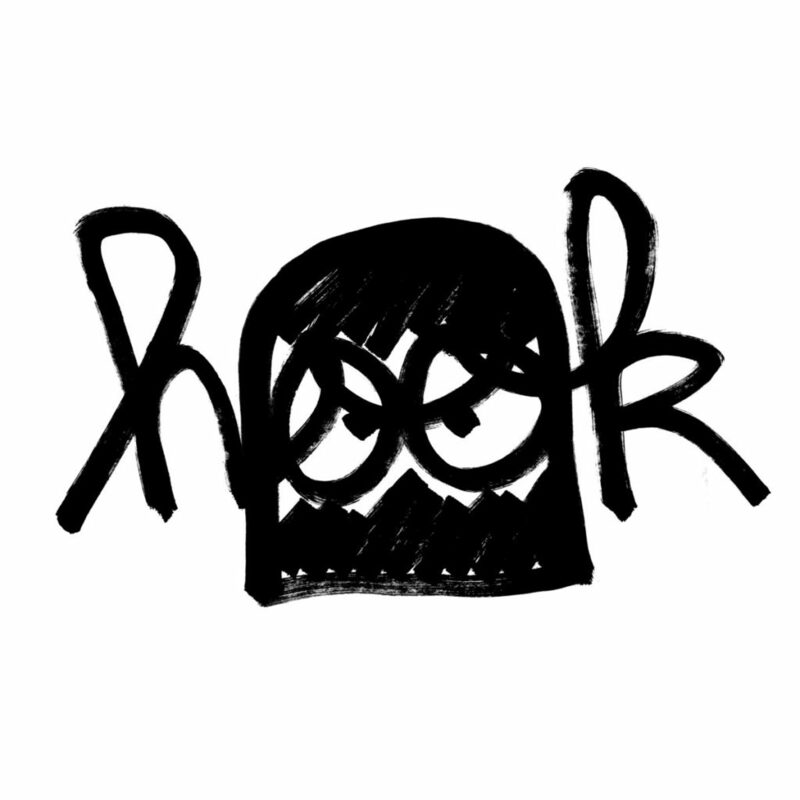 Hook is a punkrock collective from Lille, France. 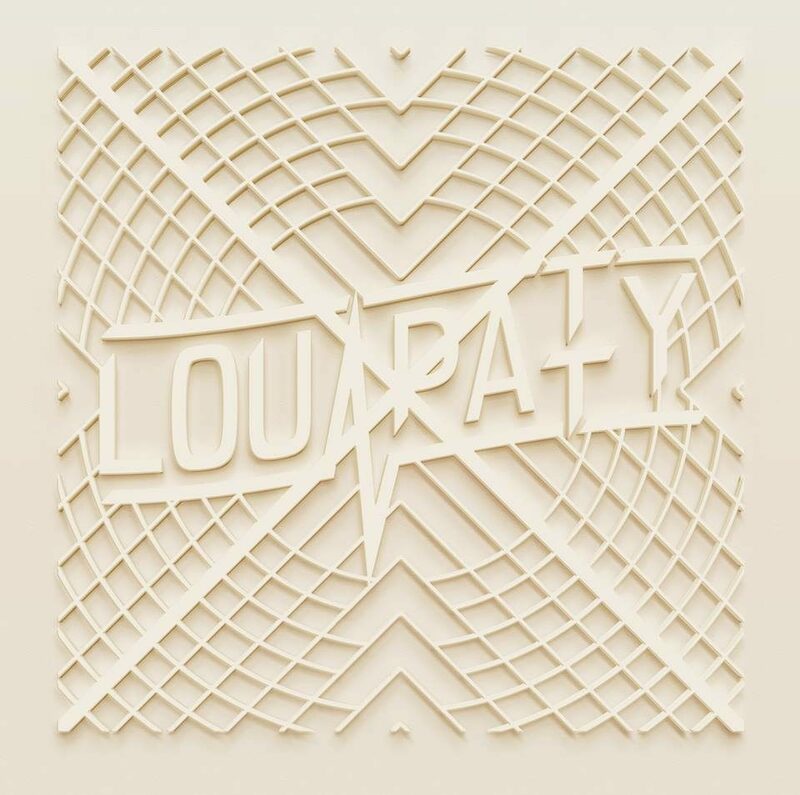 Lou Patty – Lou Patty EP – Recorded, mixed and mastered at White Noise Studio, Winterswijk. Disabuse Death Machines – Recorded, mixed and mastered at White Noise Studio, Winterswijk. Singer songwriting from Nijmegen with a dark twist.